Key to understanding the Left’s vote-fraud strategy is the community organizing group ACORN. ACORN has become synonymous with corruption, complicity in the subprime mortgage crisis and especially vote fraud. ACORN and its voter registration arm, Project Vote, hire marginal and unskilled workers at very low rates and use incentive bonuses or quotas to encourage them to collect as many voter registrations as possible. The resulting flood of registrations are fraught with duplicates, errors and omissions, and a large number are overtly fraudulent, including names like “Donald Duck,” “Mickey Mouse,” “Tony Romo” of the Dallas Cowboys, etc. According to Matthew Vadum, the senior editor at Capital Research Center, a total of 400,000 bogus ACORN registrations were thrown out in 2008 alone. ACORN was supposedly disbanded in 2010 but resurrected itself under a slew of new names. 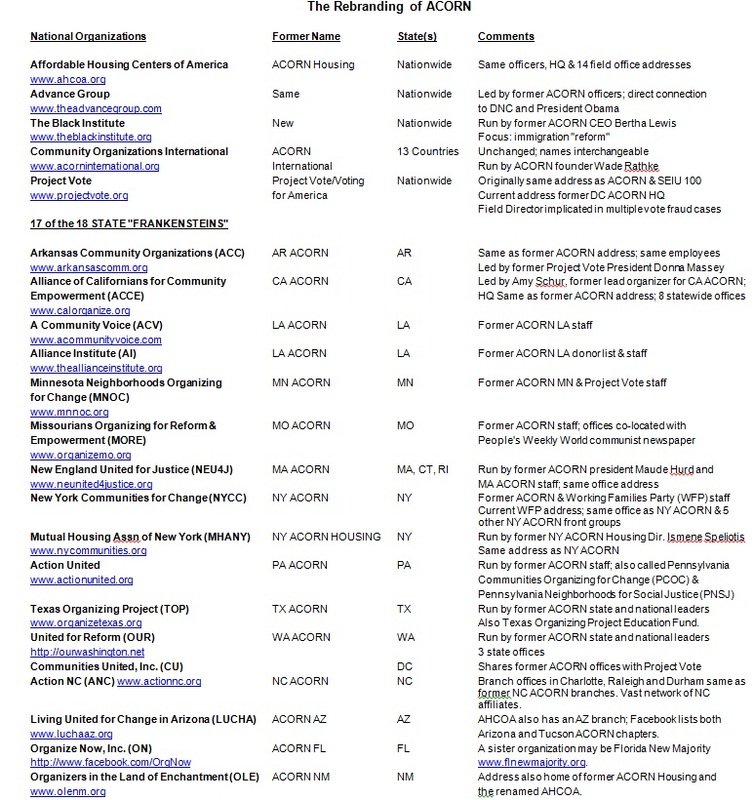 Former ACORN President Bertha Lewis bragged that they created “…18 bulletproof community-organizing Frankensteins…” These are reproduced in the table below. Most of these groups occupy former ACORN offices, many with the same staff. ACORN’s former deputy regional director, Amy Busefink was convicted in 2010 of vote fraud stemming from a 2008 Nevada case. 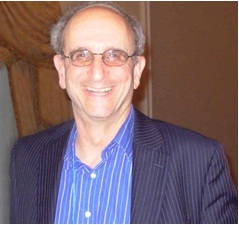 Judicial Watch found that, “while under criminal indictment in Nevada… [Busefink] managed an online program for Project Vote’s 2010 Colorado campaign, the ultimate goal of which is to allow people without a driver’s license or state identification to register to vote online.” Busefink is now national field director for Project Vote. 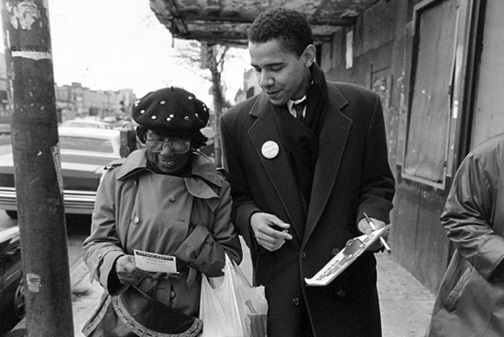 Barack Obama established his organizing bona fides with Project Vote in 1992, when he registered 150,000 Illinois voters. Project Vote was created and run for years by Zach Polett, who bragged that he trained Barack Obama in 1992 and said of Obama, “ACORN produces leaders.” Polett is listed in Manta.com as president of Voting for America, one of Project Vote’s former names, although his name is not on Project Vote’s website. Calls to that listing roll into a voice mail identifying the organizations as “CSI.” Polett’s extension is #3. CSI is the acronym for Citizens Services Inc., another supposedly defunct ACORN group that was used to hide over $800,000 paid by candidate Obama to ACORN in 2008. This kind of duplicitous activity reflects a deliberate methodology. ACORN is a criminal organization. ACORN is the face of vote fraud, but its intellectual foundation is the Cloward Piven Strategy. 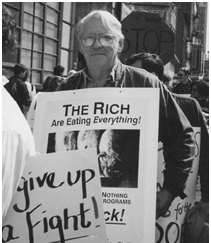 Sociology professors Richard Cloward (Columbia University) and Frances Fox Piven (CUNY) were founding members of Democratic Socialists of America (DSA). Cloward died in 2001 but Piven lives on. In 1966 Cloward and Piven penned an article for The Nation magazine titled “The Weight of the Poor: A Strategy to End Poverty.” They posited that if the poor were organized into street armies to demand all welfare benefits available to them, they could overwhelm and crash the system. It became known as the “Cloward-Piven Strategy,” and is credited with expanding welfare rolls 151 percent between 1965 and 1974 and bringing New York City to the brink of bankruptcy in 1975. The Left’s solution to everything is socialism, although they are usually careful not to name it, instead identifying issues that seemingly only their policies can redress. But “the issue is never the issue. The issue is always the revolution” as David Horowitz has explained. The “issues” are mere distractions. Cloward and Piven initially claimed to be agitating for a “guaranteed national income.” Such a policy is plainly unsustainable; however, it would institutionalize their strategy, creating an enormous, permanent drag on the whole economy precipitating an even larger crash later on. Cloward and Piven’s true goal was to find any instrument to institutionalize their orchestrated anarchy, and poor people were the tool. Wade Rathke, a veteran of those early efforts, was mentored by Cloward and Piven. Rathke and other radicals created a new organization, ACORN,and sought ways to further extend the Strategy. With passage of the 1977 Community Reinvestment Act, ACORN and other activist groups got in the housing business. They began pushing banks to offer high-risk mortgage loans to low/no income borrowers. The Clinton administration aggressively ramped up the effort. To encourage lenders and investors, Fannie Mae and Freddie Mac underwrote the risk. Since its passage, CRA lending has exceeded $6 trillion. [ii] The mortgage crisis was Cloward-Piven on steroids. Meanwhile, Cloward and Piven had not been idle. In 1982 they created the Human Service Employees Registration and Voter Education Fund (Human SERVE) to build political momentum for a law that would turn state motor vehicle and welfare agencies into low-income voter registration offices. Throughout the 1980s, Human SERVE field-tested legal and political strategies to promote this plan. 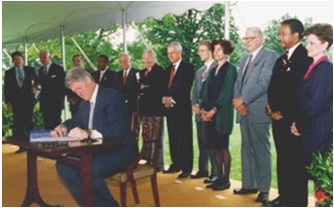 The fruits of its labor were finally realized with “Motor Voter,” the National Voter Registration Act of 1993 (NVRA), signed into law with Cloward and Piven standing directly behind President Clinton. The NVRA requires motor vehicle, military recruiting, public assistance and other state and local offices to offer voter-registration services. The NVRA has become a beacon for vote fraud. Its minimal verification requirements opened the door to ACORN-style massive voter registration fraud, and in the confusion provide blanket opportunities for vote fraud. Voter ID laws have become critically important. According to a Pew report, approximately 24 million or 12.5 percent of voter registrations nationally are either invalid or inaccurate, including about 1.8 million deceased individuals, and 2.75 million with multiple-state registrations. And while the NRVA has provisions for purging the rolls in Section 8, they require a complex, process spanning multiple election cycles. In some cases, the NRVA replaced better mechanisms already in use. Many states have simply not followed these procedures with any regularity. The Left ignores all this, focusing on enforcing NRVA’s Section 7. While capitalizing on the vote fraud swamping strategy enabled by the NVRA, ACORN, Project Vote and others sue states that don’t aggressively execute the voter registration activities required by Section 7 of the law. The narrative is always “voter suppression,” and settlements have forced state agencies to become de facto low income voter registration drives. Report detailed compliance data to plaintiff lawyers every month. ACORN will receive $450,000 in settlement. In these settlements, ACORN effectively assumes an executive role over state agencies. Notably, there is no corollary requirement to ascertain the legality of registrations or to clean up the rolls. Project Vote has taken recent actions against Louisiana, Ohio, Indiana, Georgia, and New Mexico. They just announced their intention to sue Pennsylvania. Though largely unnoticed until now, this litigation tactic has been used since the 1980s, when Human SERVE’s legal allies sued state authorities for settlements creating localized versions of Motor Voter. Piven also has many other connections to Obama. She was a founding member of Progressives for Obama. Her Democratic Socialists of America bragged that it was responsible for the success of Obama’s “ground game” in 2008. Piven was one of 130 founding members of the radical left Campaign for America’s Future. Many CAF members also sit on the board of the Apollo Alliance, the executor of Obama’s “Green” jobs initiative. Judicial Watch obtained several documents showing coordination between DOJ, Project Vote and the White House. [i] In one email, Project Vote demanded action on NVRA cases. Less than a month later, DOJ sued Rhode Island for NVRA noncompliance. Similarly, DOJ’s Louisiana NVRA suit followed Project Vote’s by a few months. Project Vote is promoting prospective employees for DOJ’s Voting Rights section. The VRA outlawed poll taxes and literacy tests for voting. Section 5 requires certain states and other political subdivisions to obtain “preclearance,” or permission, from either DOJ or the U.S. District Court in Washington, DC, on any change affecting voting. Currently, preclearance states covered in whole or in part include: Alabama, Alaska, Arizona, California, Florida, Georgia, Louisiana, Michigan, Mississippi, New Hampshire, New York, North Carolina, South Carolina, South Dakota, Texas and Virginia. Set in 1982 to expire in 2007, Congress extended the VRA for another 25 years in 2006. The VRA has come into sharp focus this year as the Holder administration has used VRA preclearance requirements to stall or prevent voter ID laws from being enacted. Non-preclearance states have faced stiff court challenges from other leftist groups. Alabama – Alabama’s new photo ID law has a 2014 effective date. Alabama has not yet applied for pre-clearance. Arizona – 9th Circuit upheld ID requirement of new law; struck requirement that voter prove citizenship. Mississippi – A Voter ID amendment was approved by voters with a 62 percent margin in 2011. A bill to implement the amendment passed April 10, 2012. Requires preclearance. No word yet from Justice. South Carolina – DOJ denied pre-clearance for new ID law in December 2011. State filed for reconsideration. Texas – DOJ denied pre-clearance for new ID law. Texas filed suit with three-judge panel seeking pre-clearance; DOJ asked court to postpone trial. Wisconsin – State judge ruled Wisconsin’s voter ID law unconstitutional (read the opinion). State will appeal. The Wisconsin case is an example of independent groups working to sabotage reform efforts. In a suit brought by the League of Women Voters, the NAACP and others, the judge found ID laws “unconstitutional to the extent they serve as a condition for voting at the polls.” This was a bizarre ruling. Wisconsin’s Constitution clearly allows mechanisms to establish voter eligibility. Despite the Left’s best efforts, voter ID laws have been proposed this year in 32 states. DOJ announced they would not enforce Section 8 because it won’t increase turnout. States are infested with dead voters on the rolls. Because of Motor Voter, voter rolls in many states seeing influx of illegal aliens. Data show that illegal aliens are participating in American elections. DOJ is using [VRA] Sec. 5 to stop voter integrity initiatives. Every one of Holder’s 113 new attorney hires is a far-left radical. Famed civil rights attorney Bartle Bull was a poll watcher at that Philadelphia location when the Black Panthers appeared. He testified in the case, calling it “the most blatant form of voter intimidation” he had ever seen. ACORN’s swamping method is now being replicated all over the country, especially in swing states or those with critical elections like Wisconsin Governor Scott Walker’s recall vote. Even local communities are affected. For example, the Wake County (Raleigh/Durham) registrar described a swamping effort conducted by North Carolina’s Public Interest Research Group (PIRG). While these organizations are nominally independent, closer inspection often reveals interlocking directorates and/or shared staff. Many are supported directly or indirectly by George Soros foundations. 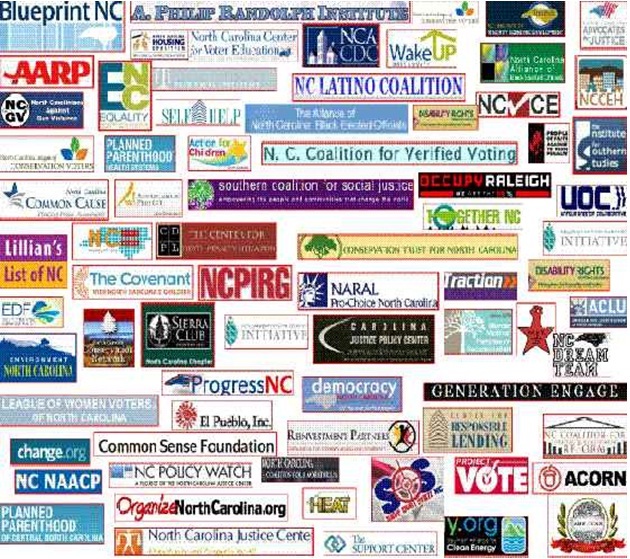 The chart below, compiled by North Carolina Civitas Institute, includes many organizations that worked with ACORN there. Evidence shows that the Houston Votes and Texans Together organization is conspiring in a pattern of falsification of government documents, suborning of perjury and a deliberate effort to over-burden our processing system with thousands of duplicate and incomplete voter registration applications. HV held a press conference the day of the fire, calling Vasquez’s allegations “reckless and false” and “an apparently coordinated, partisan effort to suppress voter registration and to intimidate citizens into not voting…” They demanded the Justice Department investigate. HV dismissed mistakes with the familiar ACORN refrain, blaming a few low-level employees who were fired when errors were discovered. However, Vasquez specifically cited 180 erroneous registrations turned in by Directors Sean Caddle and Neil Hudelson—more errors than usually submitted in total by traditional voter registration drives. HV boasted their group was “non-partisan” but an attentive blogger quickly proved otherwise. 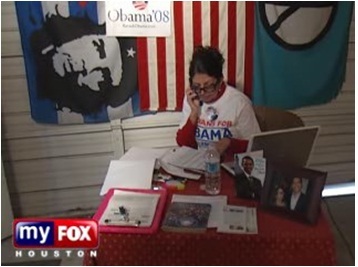 One of the people training volunteers for Houston Votes was Maria Isabel, an Obama operative made famous by the photo of her office sporting a poster of Che Guevara. 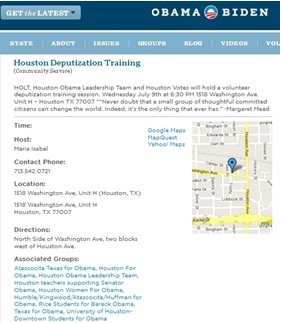 BarackObama.com advertised HV’s “volunteer” deputy training. Participating groups included, Atascocita Texas for Obama, Houston For Obama, Houston Obama Leadership Team, Houston Women For Obama, and other similar groups. HV Directors Hudelson and Caddle were quickly discovered to be long-time Democratic activists. At last notice they had returned to Caddle’s home state of New Jersey, working for Democratic Jersey City Council-at-Large candidate Sue Mack. She lost. A little more digging revealed Houston Votes to be part of America Votes, a Soros-funded organization tied to ACORN, SEIU, and a universe of other leftwing groups. America Votes specifically targeted Texas in its 2010 Redistricting Control Project. With 38 electoral votes, Texas is only exceeded by California’s 55. Latinos are the fastest growing ethnic group in Texas, not coincidentally home to the second largest illegal immigrant population in the U.S. The Advisory Board of HV’s parent organization, Texans Together Education Fund, included a number of prominent left-wing Democrats. One was Grande Dame of Texas politics, Sissy Farenthold, who worked with the radical left Institute for Policy Studies in the 1980s. Another was Democrat Kristi Thibaut, a state legislator trying to hold her District 133 seat. She had worked for ACORN and was under investigation by the Texas Ethics Commission. Yet another was Sue Schechter, running for Harris County Clerk. Not only was HV extremely partisan, but plainly the Texas arm of Soros’s project. America Votes failed in 2010. Republican control of the Texas state house increased by 44 seats in a nationwide sweep that brought Republican control to statehouses not seen since 1928. America Votes is targeting Florida, Michigan, New Hampshire, Ohio, Pennsylvania and Wisconsin in 2012. But the Left still wasn’t finished in Texas. The Texas Democratic Party sued the Harris County Registrar’s office, the Registrar and other employees. Harris County had settled another suit with the Democrats in 2008 stemming from 67,554 rejected applications, mostly submitted by ACORN. Democrats had charged “voter suppression” then too, over registrations rejected for incomplete or inaccurate information—the kind ACORN excels at. Because Texas is a preclearance state, redistricting maps must be approved. This year’s maps were challenged in court by Latino groups. This delayed the primary, neutralizing any impact Texas may have had on the Republican presidential primary process. KSP organized approximately 1,000 poll watchers for the 2010 elections. This outraged the Left, unused to having its inner city monopoly threatened. Texans Together Education Fund sued the King Street Patriots, True the Vote, Catherine Engelbrecht and her husband. On the first day of early voting, the Texas Democrat Party also filed a suit, a move characterized by KSP’s legal team as a naked effort to intimidate KSP-trained poll watchers. ABC Channel 13 quoted Democrats suing KSP that KSP leaders could see jail time for voter intimidation. ABC’s own video, however, shows otherwise. Channel 26 reporter Isiah Carey asked repeatedly if the King Street Patriots hadn’t created a hostile environment. KSP offered witness testimony that it was “the other side” doing the intimidating. New Black Panther leader, Quanell X, threatened that his men would “protect” people from the TTV-trained poll watchers. 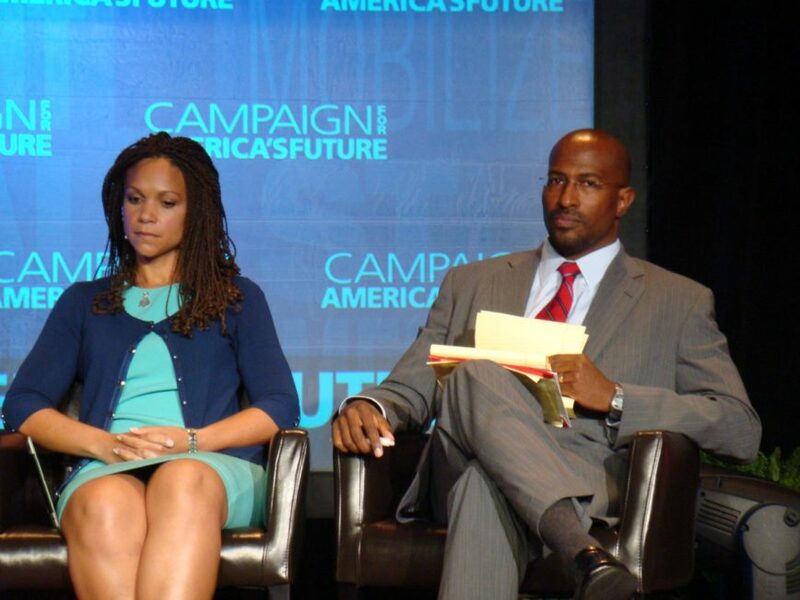 Emails from communist Van Jones’ Color of Change circulated through liberal circles, charging poll-watcher voter intimidation. Local radio station Magic 102.1 FM repeated bogus charges about assaults on black voters… including spitting and physical assault… on black grandmothers. But it was actually poll judges, poll workers and Quanell X’s Houston Black Panther group, who did much of the intimidating. Assistant County Attorney Douglas Ray disclosed after an investigation that Harris County poll workers and election judges had committed the violations blamed on KSP. He was silent on the Panthers. Poll Watchers submitted 763 incident reports, detailing over 3,000 violations, to Harris County. These included intimidation, harassment and illegal voter assistance conducted by poll judges and workers. To date there has been no response from the County. Three poll watchers were willing to be identified by name and spoke to reporters at a KSP press conference. KSP invited the Justice Department to witness what was happening. Justice never responded. Independent of KSP, poll judge Carmen Cuneo gave compelling video testimony about how the chief judge had her removed and threatened with arrest after she confronted Quanell X about his group’s activities at the poll. Union groups used the swarming method earlier this year in a recall petition of Wisconsin Governor Scott Walker. They reportedly submitted one million petitions, needing only 540,208. The Democrat-controlled Government Accountability Board (GAB), responsible for verifying petitions, flatly refused to do so. 29 Wisconsin judges—one who later issued a restraining order against Walker’s Voter ID law. A deputy DA, 19 attorneys and dozens of other DA employees. Some had been working on a heavily criticized “secret” John Doe investigation of Governor Walker at the time. Four University of Wisconsin regents and the university’s chief spokesman. A Democratic activist charged with seven felony ID theft counts and two of felony vote fraud. He signed up family members and neighbors, including a deceased man, without their knowledge or consent. Cloward and Piven saw the NVRA as an intermediate goal. They made that clear in their book. The flurry of lawsuits and systemic fraud generated by the NVRA all build momentum to find a permanent solution. And the Left had the answer before they started: Universal Voter Registration. Homeowners with more than one property create duplicates. Because so many lists exist with little or no cross-checking these duplicates are likely to go uncorrected. UVR would institutionalize the crisis strategy, and provide countless opportunities for vote fraud. The National Popular Vote bill seeks to effectively abolish the Electoral College by enacting state laws that give all electors from those states that have passed the bill to the winner of the national popular vote. Direct elections would become universal when enough state legislatures have passed legislation to make up a majority of the electoral vote (270 of 538). Eight states and the District of Columbus, totaling 132 electoral votes, have passed NPV laws. The Electoral College was created to ensure that less populous states would not be overlooked in presidential elections. If successful, this effort will make vast swaths of our nation completely irrelevant to presidential candidates, as they would then focus all their efforts on large population centers. Project Vote disingenuously argues that rights should be restored to former felons. Almost every state has provisions to restore voting rights to former felons. ProCon.org claims about 5.2 million felons are “disenfranchised.” But only current prisoners have no recourse—about 1.4 million. They exaggerate the problem for unclear reasons. The “wise Latina,” Supreme Court Justice Sonia Sotomayor, favors felon voting. Same-day voter registration in Ohio led to ACORN’s permanent expulsion from that state. Then-Secretary of State Jennifer Brunner, an alumna of George Soros’s Secretary of State Project (see below), announced a “Golden Week” for same day registration and voting. ACORN submitted thousands of bogus registrations, including the notorious case where one man was paid to register 73 times. Former Wisconsin Senator Russ Feingold proposed a nationwide same-day voting law in 2009, but his state’s experience with it has been disastrous. An investigation into the 2004 elections by the Milwaukee Police concluded the only way to prevent widespread fraud is to discontinue same-day voting. A 2011 study found errors in one-third of same-day voter registrations in Milwaukee County. Nine states currently have same day voting laws. The Soros funded Secretary of State Project seeks to elect leftist Democrats to that critical post. SoS Project-backed Minnesota Secretary of State Mark Ritchie demonstrated the value of this program when comedian Al Franken eked out a victory in his 2008 U.S. Senate race amidst numerous, well-documented allegations of vote fraud. The SoS Project did poorly in 2010, however. Ritchie was one of only two SoS-backed candidates to survive the Republican tidal wave. The project’s website, secstateproject.org, is no longer operational. There is a Facebook page: http://www.facebook.com/secstateproject. It does not appear to get much traffic. This may reflect a temporary lull in activity, or Soros and his minions have moved to more promising initiatives. Volunteer with True the Vote (www.truethevote.org) and join your state’s affiliate. True the Vote is conducting training all over the country. Find your state affiliate. Bookmark Protect Your Vote! (www.protectyourvote.us). This website provides state-by-state information about voting laws, vote fraud risk, and updated information about voter ID efforts. Judicial Watch has done more than any other organization to expose the activities of this corrupt administration and Justice Department under Eric Holder. Sign up for email alerts at www.judicialwatch.org. Read, print and distribute the Patriot’s Handbook. This free resource contains a wealth of information on how people can participate at any level. The National Voter Registration Act was crafted specifically to bring calculated chaos to our elections, open the door to vote fraud and force states to become de facto voter registration drives heavily favorable to one political party. Similarly, Attorney General Eric Holder and his allies have abused the Voting Rights Act, turning preclearance into a political weapon to sabotage voter integrity efforts. The results are a voting system vulnerable to systemic fraud. Our most fundamental right as Americans, to determine the size, scope and indeed the very nature of our nation, is being threatened. This must not stand.